Klaire de Lys captivates you with her enchanting voice and amazing makeup skills. You may land on one of her beauty videos to learn a technique but you slowly begin to watch them obsessively since they are such beauty masterpieces. Also, only expect Klaire to use affordable makeup that you can easily snag yourself too. Let her sparkle your imagination and keep reading on to learn how this beauty guru started! Lip gloss adds a sheen and definition to lips that always looks gorgeous. Though store bought glosses are amazing on giving your pucker that perfect shine, they are filled with chemicals that shouldn't be ingested. 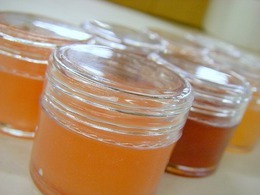 Keep reading to see how to create your own natural lip gloss with a few ingredients! 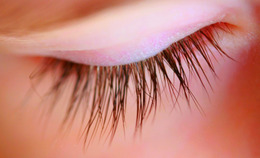 Having full and natural lashes is something many of us crave! Though we can't change the lashes we have from the inside, we can use topical treatments to help your eyelashes grow healthier and longer! Give these natural eyelash conditioners recipes a try to achieve longer, thicker, and fuller lashes. Ashley, better known in the cyber world as HollywoodNoirMakeup on YouTube, is the ultimate femme fatale makeup artist. Read on to find out a little more about this Canadian makeup bombshell! Shirley B. Eniang is one fashionable beauty guru. Her makeup is always flattering and her style is beyond chic and cool. Shirley’s videos ranges from gorgeous makeup tutorials, hairstyle how to’s, and fashion looks. Her blog, meek-in-milk, is chock full of photos of her style and inspirations. This UK beauty and fashion guru is fantastic in every way and we can’t wait to see what else she has in store for us! Keep on reading for her interview with us! You all probably know the bubbly and sweet Northern Irish YouTube Guru, Bubzbeauty! She's adorable, creates super helpful hair and makeup tutorials, and is all about spreading love and positive vibes to everyone around her. Since starting her beauty channel over two years ago, Bubz has 460,000+ subscribers and nearly over 90 million page views! She's a humble rockstar in the beauty guru world, being #1 most subscribed guru of all time in the United Kingdom. Keep on reading to find out more about Bubz and how she started Bubzbeauty! You know Imogen as FoxyLocksExtension, the fabulously big hair and gorgeous makeup beauty guru that has her own line of hair extensions! You’re bound to find a tutorial or rave of hers that will be helpful to you. Whether you want a high fashion messy bun for a chic daytime look or a smokey eye tutorial for a glam night out, Imogen has something for everyone. Read on to find out more about this business savvy beauty. Lips chafe, peel, and split in winter. 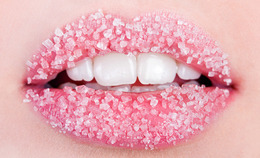 Depending on the condition of your lips, you can exfoliate them with store bought lip scrubs or a very simple DIY lip scrub. Check out the recipe! Deepa Berar has been a MAC makeup artist for over 5 years so when she talks makeup, she knows exactly what she’s talking about. She started her beauty channel in April and has already produced 26 high quality tutorials, ranging from her foundation routine to a Kim Kardashian inspired look. What makes Deepa’s videos so great is that she breaks all her steps down concisely so you can easily follow along, including listing which products she uses. Check out what motivates Deepa to create her videos and what her favorite makeup products are! It’s hard not to keep on watching Nur aka nurberxo beauty channel since each one is always full of beauty tricks and tips. What makes her stand out is her down-to-earth personality resonates through her videos and her extreme knowledgable of makeup techniques. Read on to find out more about the lovely Nur and and her honest thoughts on being a guru! 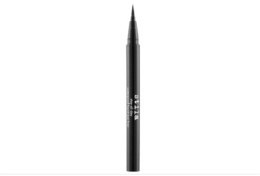 Beautylish tested Stila's new stay all day waterproof liquid liner. See how it performs! To celebrate the launch of Intraceuticals treatment and products at The Sports Club/LA San Francisco--a gorgeous fitness club with beautiful amenities, Beautylish was invited to try out the celebrity-famous Oxygen Infusion Facial that Madonna swears by. Not sure what Intraceuticals or Oxygen Infusion Facials are? Here's the scoop. Sugar and spice and everything nice is how we would describe Jackie Perdue, also known by her YouTube beauty channel JaaackJack! Jackie is bursting with her sweet personality in her makeup tutorials and fashion outfit videos. Having only started a little over half a year ago, she has found her own unique style and a steady rising following. Read on to find out how she was inspired to create her channel and what her no-fail beauty tip! 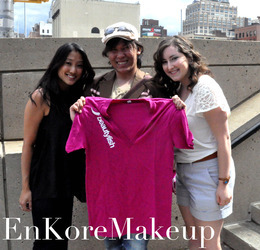 During our trip to New York for New York Fashion Week, we were lucky enough to catch up with Koren from EnKoreMakeup! We met him during the summer at the Pasadena IMATS Guru Summit and he was just as amazing in person as he is in his videos. We all chatted up over lunch and held our interview with Koren on the streets of New York. The sweet Natalie of cerealandtoast on YouTube is one of the mini UK beauty guru’s that we are absolutely loving. Her chill out music and great makeup tutorials and makeup reviews are fantastic to watch. Keep on reading to find out more about this little beauty! Many people don't really understand what a toner is and what it does. 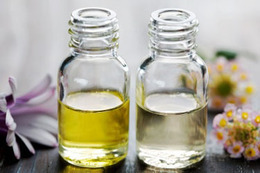 See what a toner is and how you can make your own DIY recipes at home! 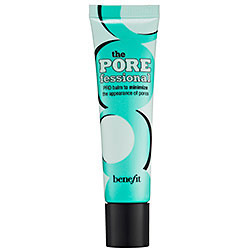 Beautylish had the opportunity to try Benefit's new primer: The POREfessional! See what we thought of it. 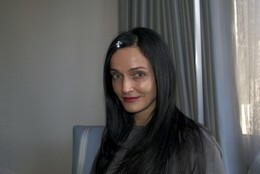 Skin Care Tips From Madonna's Facialist! Beautylish interviews world renowned skin care goddess and Oxygen Facialist to the stars, Michelle Peck. Keep reading for her tips and which beauty items she can't resist. Beautylish went backstage at the Spring 2011 Elise Overland Fashion Show during New York Fashion Week. Napoleon Perdis and The Frederic Fekkai team styled perfectly feminine looks for Overland's show. Keep reading for the full beauty breakdown.